Goodbye boring old numbers, hello exotic memories and favourite things! Table names, it’s more than a number these days so what do you call them? Do you give them a name or number at all? Traditionally tables were identified by numbers but theses days it’s all about pizazz and personality and adding that personal touch by giving your guests a glimpse into your world. 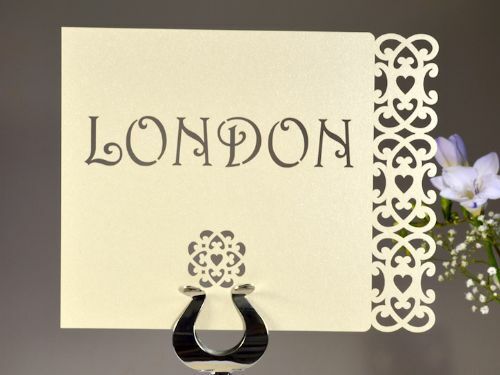 So you’ve got your guest list, you know how many tables your going to have and now you want some inspiration… today I’m here for you babes so grab yourself a cuppa and sit back and browse through some of these ideas. Firstly think about the things that reflect who you are as a couple; where have you been, what holidays did you both absolutely love, where did you meet, do you both share any interests? Maybe it’s your personalities that can best tell your story; have you both got an awesome sense of humour? For me it would have to be on titles. Music is my lifeline and both me and hubby adore it (I dabble at singing (and bravely do it outside the shower on rare occasions) and he is my dream Lead Guitarist) so our table names would have to be something that resonated with this. Another very slushy example, my amazing bestie named her tables after sweets when she married her gorgeous man in 2006. Names like ‘Shrimps’, ‘Flumps’, ‘Flying Saucer’ and ‘Fruit Salad’. Why? Grab your tissues girls.., because her and her man are childhood sweethearts…oh so romantic! That so appeals to my squidgy side. The are so many things you could do but the best table names are those that have personal meaning to you. 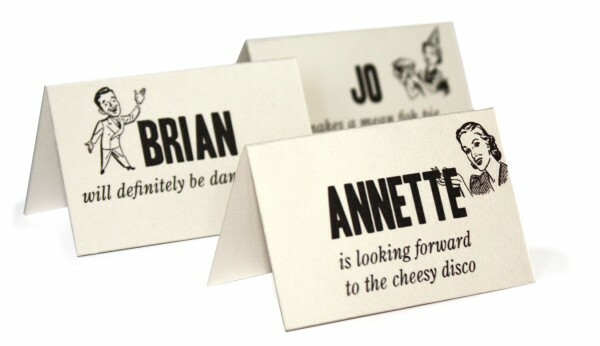 Table names will be a talking point for your guests so it’s a great way to strike up conversation between them and help them get to know a little about you both. Great article and those tips are going to help a lot of people ! Oh my goodness. I love these wedding plates. They are so perfect. They make the table sooooo interesting. I will definitely be using these. Whoever came up with this idea…GENUIUS!!!! Interesting read. 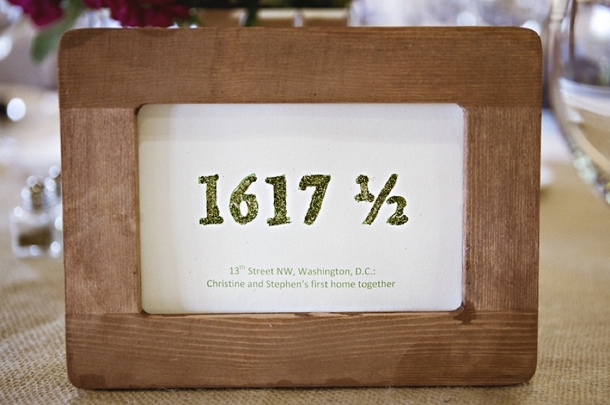 It’s these little details that really make the day personal to the bride and groom, as well as fun for the guests.